Homeowners have several choices when it comes to converting the sun’s abundant energy into electricity. 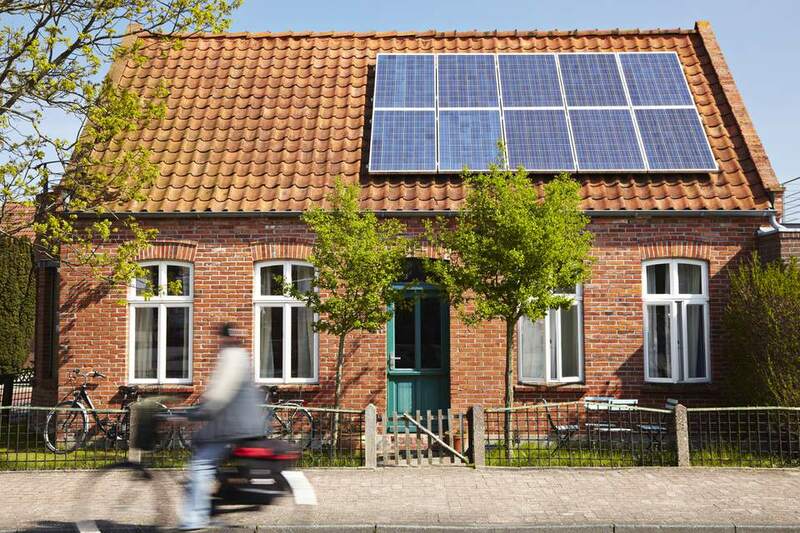 Learn about the different solar power options for your residential property. A solar power system uses photovoltaic (PV) panels to convert the sun’s energy into electricity. The panels contain dozens of sunlight-absorbing solar cells, which cause a phenomenon known as the “photoelectric effect.” This effect forms an electrical current that the panels capture in a circuit and distribute to a home’s electrical system. For homeowners who can’t afford PV solar power systems to generate electricity, a thermal solar water heater provides a less-costly alternative. These systems can also be used to heat swimming pools and provide hot liquid for radiant space heating. Solar water heaters share some of the same pros and cons as PV systems. One of the apparent disadvantages is that the water heater must be connected to the residence's plumbing system rather than its electrical system. The cost for connecting a thermal solar water heater to a home's plumbing system would be factored into the contractor’s bid. The significant advantage is that solar water heaters don’t require expensive panels to be installed on a residence's exterior. The water heaters have simpler solar collectors for capturing the sun’s energy, which is used as a direct heat source. Homeowners can also harness the sun's energy by taking advantage of the passive solar home design. Homes built with passive solar technology materials might have doors, windows, walls, and floors that absorb, store and release the sun’s warmth in cold weather. These same materials reverse the effect in warm weather. Other passive solar devices, techniques, and systems include engineered roofing, climate-appropriate ceiling and wall insulation, and through air sealing. Solar energy-efficient features also include customized canopies or engineered overhanging eaves that shade windows from direct sunlight during the summer and allow it in during winter. Landscaping can also be carefully designed to serve as a valuable tactic for increasing a home's energy efficiency. Check with your current provider to find out if it offers a “green pricing program.” These programs give you the choice of purchasing part or all of your electricity from renewable energy sources. If you can choose this option, ask for details about the sources of renewable energy available. If you live in a deregulated area with competitive market options, you likely have a choice of electricity providers that offer renewable energy options. Check with your state utility commission or local jurisdiction for information. Visit Compete coalition's website to find out if your state is deregulated.